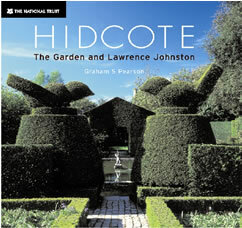 It is one hundred years ago since Lawrence Johnston and his mother, Mrs Gertrude Winthrop, came to Hidcote Manor. On 22 June 1907. The Times advertised the Hidcote Manor estate, described as a valuable freehold farm comprising some 287 acres and 34 perches to-be sold by auction at the Noel Arms in Chipping Campden on Tuesday 2nd July 1907, with possession on 29th September 1907 - Michaelmas day, when most agricultural leases began and ended. The advertisement said that the farm would be sold together with the: very substantial and picturesque farm house, stone built, with, entrance hall, fine oak staircase, three sitting rooms, eight bedrooms, two box rooms, and usual offices, with lawns and large kitchen garden. 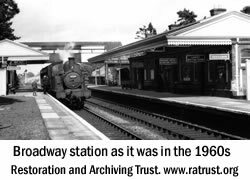 It went on to note that: the farm is particularly healthy, being situate on a spur of the Cotswolds at an elevation of from 500 to 800 feet above sea level and from it extensive views of the counties of Warwick, Worcester and Gloucester can be obtained. Meets of the Warwickshire, North Cotswold and Haythrop [sic] Hounds are within easy distance, and the partridge shooting on the estate is good. Ebrington Hill Farmhouse, Barn and surrounding land is on the market with a guide price of £3.2 million. It is available as a whole or in three lots. This is a fine country house in a wonderful position with panoramic views. Professor Stanley Wells was awarded a CBE in the Queen's Birthday Honours for Services to Literature. Professor Wells is a Shakespeare scholar who has been studying and writing about the Bard for most of his life and is known as the international leading authority on Shakespeare. Moreton-in-Marsh Show has joined forces with local Morris Dance side-The Ilmington Traditional Morris Men- to organise an attempt for the world record for the Largest Morris Dance. Champion Grass Crop - R & J Baldwyn from High Crest, Hidcote Boyce, Chipping Campden. The results of the first of the on-farm competitions organised by the Moreton Show have been announced and local farmers R & J Baldwin have won the Williams and Hawkins Challenge Trophy for their champion grass crop. 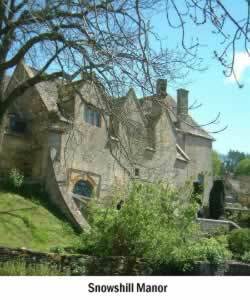 The Cotswold Farm Park was Britain's first ever Farm Park having been established in 1971. Amongst their many rare breeds they have had great success in providing pigs for both TV and films. They recently supplied an iron-age pig for the BBC series - We Built Britain. "They wanted a pig typical of the Elizabethan era to set the scene for the story.